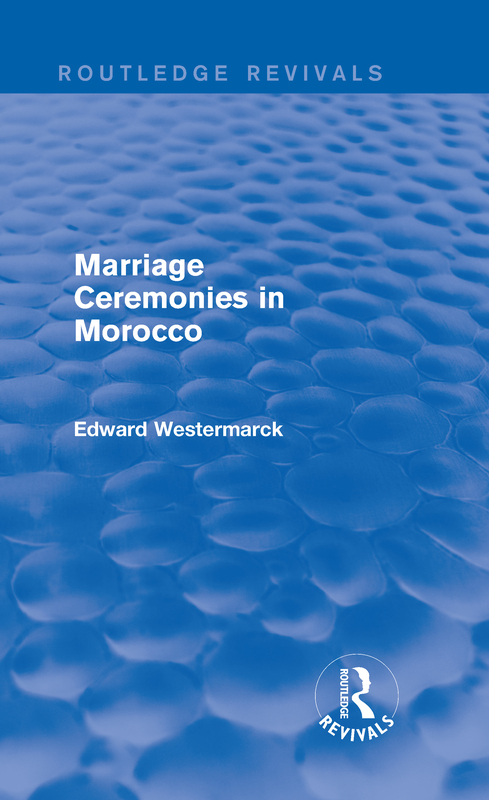 First published in 1914, this title was the first comparative study of the marriage ceremonies in different parts of Morocco. Westermarck considers how ceremonial customs and rituals differ across social and cultural groups throughout the country and discusses their possible roots. Based on extensive primary research, visiting many of the tribes and places mentioned in the book, this is a really fascinating title of great value to students of sociology and cultural anthropology with an interest in the foundations of the marriage ceremony.